The same symbol can be a thousand different things depending on where you go and who you ask about it. This is true of numbers, colors, and tattoos. Tattoos are usually highly meaningful depending on who gets it and where they are from. One tattoo, the knot tattoo, can have much different symbolic meaning depending one what culture the person has who has the tattoo. If you want to get a knot tattoo, then it is always interesting to learn what it means to different people. You never know, it may mean something highly important to the culture that you share with your family. This article will discuss the symbolism of the knot in different cultures. By reading this, you can get a better understanding of the knots symbol and decide if it’s the right tattoo for you. If nothing else, you’ll have a cool story to tell to your friends about what you’ve learned. If you’ve even heard about the Celts then you’ve probably seen a Celtic knot before. The Celts were highly spiritual people. They were pagan and worshiped many different gods and goddesses. They were also very close to nature. Unlike most of the developed countries in today’s world, the Celts took proper care of the earth. They wanted to help it the best that they could, rather than hurt it. This could be why many of the Celtic symbols have a rather organic meaning. The Celtic knot does not deviate from this pattern. The Celtic knot symbolized the mystic and magical, as well as the plain and simple. The cycles of life and death were a common meaning of the Celtic knot. The knot can also represent infinity since they never break; an infinite earth or nature is another common theme. Other general meanings are luck, belief and longevity. In Europe the knot symbol was usually used as a sign of love. The knot was commonly used in depictions of romantic love. 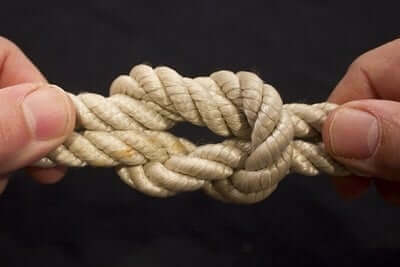 Knots were sometimes used in marriage ceremonies to “tie” two people together, and combine the two families. Tying the families together symbolized not only love but also connections and devotion. Even when not involved in marriages, the knot was still linked to love. In ancient Egypt, the knot symbolism wasn’t used as a meaning of love, but it still represented a kind of connection. Like the Celts, the Egyptians also saw the knot as a form of infinity or a sort of never-ending thing. The knot was able to symbolize the eternal life of the gods and those who did well by their rules. Lastly, the Chinese have their own special meaning for the knot symbol. Just like we use knots to bind or connect in real life, the knot also symbolizes binding in Chinese culture. The tying of a knot was said to be a symbol for good luck and good things to come. It was mostly a sign to keep out bad luck instead of bringing in good luck. Since it was said to keep out bad luck, the Chinese knot was also said to be a symbol for protection and liberation. While there are many symbolic meanings for the knot, these are some of the most popular by culture. If your culture is on this list, then you can better decide whether or not you want this tattoo on your body. If your culture is not on this list, then perhaps you can adopt one of these knot symbolic meanings for yourself.